I first got to know Tainá Guedes through researching chefs here in Berlin, for another project of mine. After some googling, one website here another social media there, I soon came to learn that Tainá was actually one of my compatriots, born and raised in São Paulo, Brazil. We set up a meeting at her office (more like her gallery/kitchen) Entretempo. 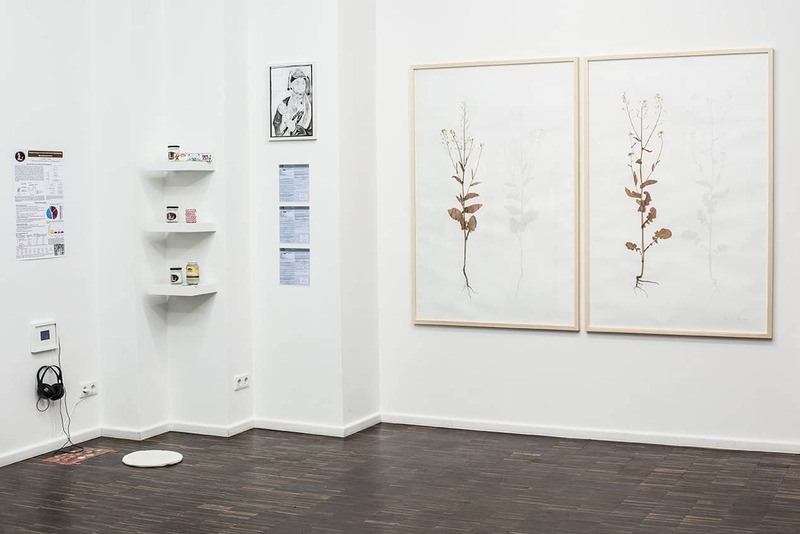 At first I thought, “ok this is another gallery as she is also an artist”, but walking down Senefelderstraße, I must say I got puzzled with the gallery facade: one big see through window with a fully-equipped kitchen in the back of the room. Was it there? Is it connected to this Café next door? Wait, what is this? Then came Tainá to greet me at the door. I could not help but ask: so what is Entretempo about? Tainá went on to explain me that she had studied Gastronomy in São Paulo, shortly after opening a Japanese restaurant, Nakombi, over 10 years ago. From her wish to have more autonomy in her own restaurant kitchen, Tainá went on to study cooking. Although it seemed to be an easy thing to do to once you have your own restaurant, the counterpart of this was that at the end she needed to put into practice what she learned, but how to be an apprentice in the kitchen of a restaurant you own? In between other projects, like the underwear brand she also created next to Nakombi, Tainá met Oliver Fuchs, German art director, and with whom she came to Germany. Long story short, before Tainá spent her learning period in Japan she came first to Germany in 2006, and lived in Dusseldorf, one the biggest Japanese communities in Germany. Her way into a kitchen there was also not easy, as she tells me that she had to go every day for a month, asking for positions in Japanese restaurants for learning the first steps of her profession. Piece created for Food Waste Money dinner. From this experience, she also developed a great interest for the Shōjin Ryōri – ancestral vegetarian Buddhist cuisine – also one of the principles of the macrobiotic diet, which Tainá had contact with since her early years through her father. Back to Germany, with a sustainable, vegetarian and Buddist philosophy in her mind, Tainá had a job offer from Cookies Cream, a vegetarian restaurant in Berlin, that made her finally move to Germany’s capital. That was 2009. Unfortunately, when she first arrived here, the job offer was canceled and then she found herself in Berlin ready to put all her fresh ideas into practice. She started first to do creative catering, with which she had already experienced from her time in Dusseldorf. These jobs led her more and more inside the art world, as she was constantly dealing with food and art. 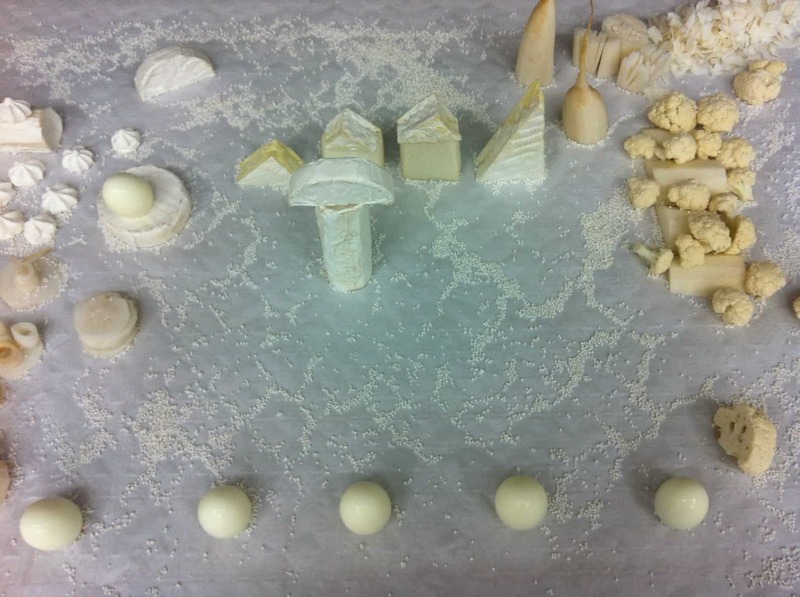 “Stadt Land Food” for exhibition “WHITE” from Helene Lundbye Petersen. Tainá Guedes is also author of book “Kochen mit Brot”, sponsored by Märkisches Landbrot, a German company that are pioneers when it comes to a practical, sustainable business model. 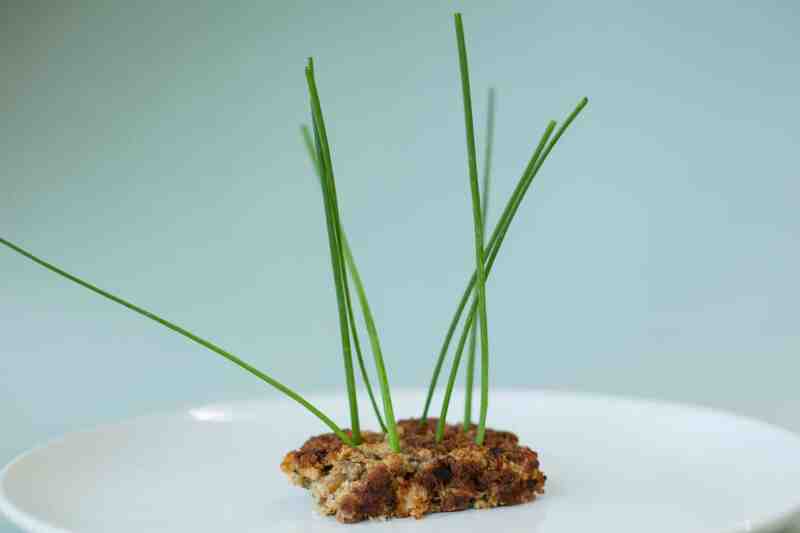 The book is meant to inspire people to cook with bread leftovers, avoiding any kind of waste. 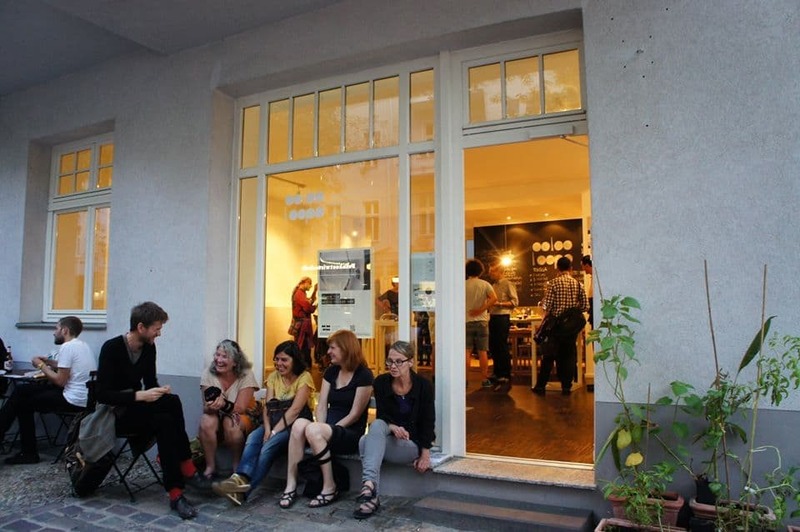 Besides this, Tainá is also is the creator of Berlin Food Art Week, set to happen in June and in which BERLIN LOVES YOU will be media partners, profiling many of the participant artists and places of the event. 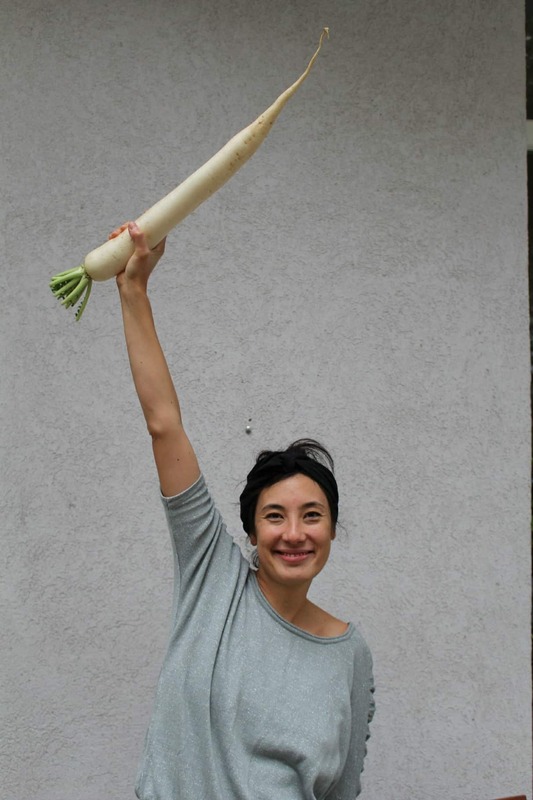 Another of her projects is Share Your Food, first created in 2009 for BMW Guggenheim Lab, where she invited people not only to share what is on their table but also to answer the question “What do you think makes the world a better place?” – from the answers she printed a magazine. 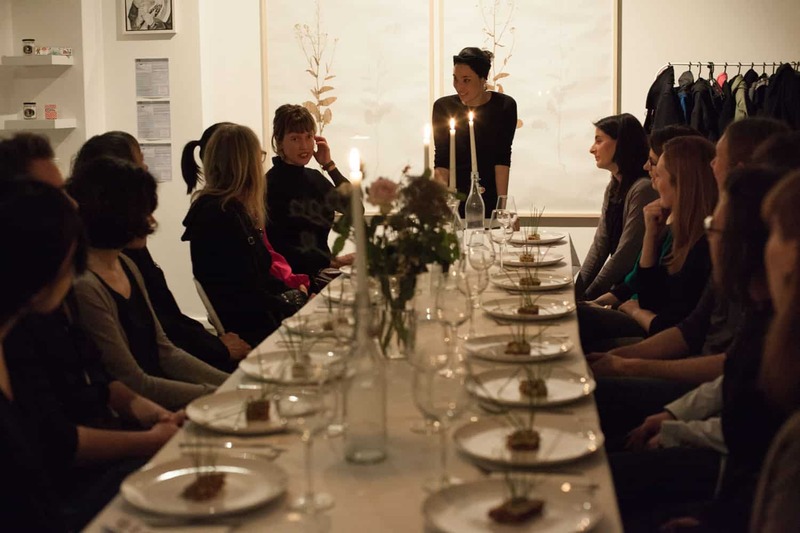 For this last edition, happened 6th March, the theme was LeftOvers, where people were invited to bring their own leftovers and sample a creative dining experience. (There will be another edition on the next 17th of April). Currently the exhibition Food Waste Money is taking place at Entretempo, addressing issues surrounding these words and their connotations. Tainá Guedes and guests at Food Waste Money Dinner. 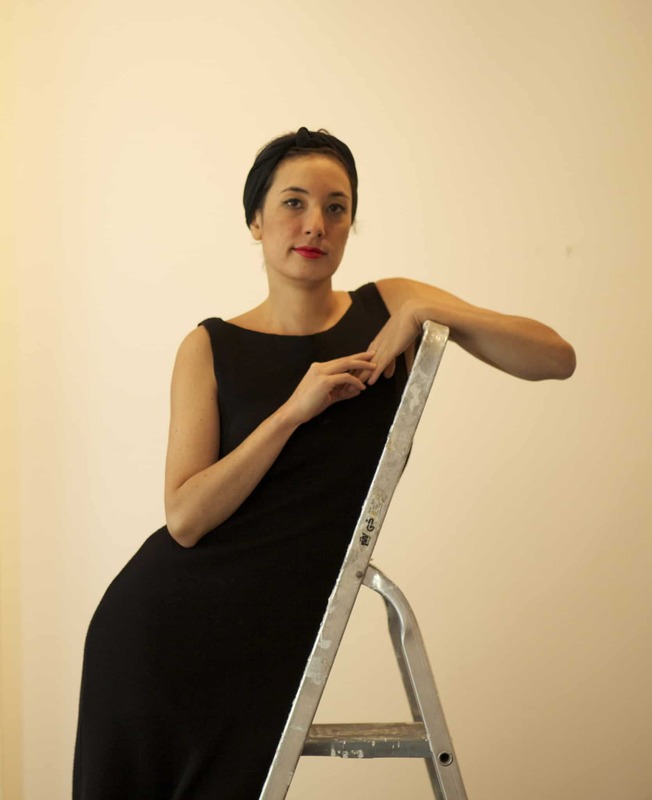 Tainá Guedes is the CEO/curator. This is just an amazing idea! Food is for sure art! Great article!